Under clever icing, sugar cookies glow with velvety vanilla flavor. Potent olive salad makes a terrific muffaletta. Sunny sitting room up front shows local artists' work. Bourbon pecan pound cake is as tender as a sigh. Very creamy lemon bar is only softly citrusy. 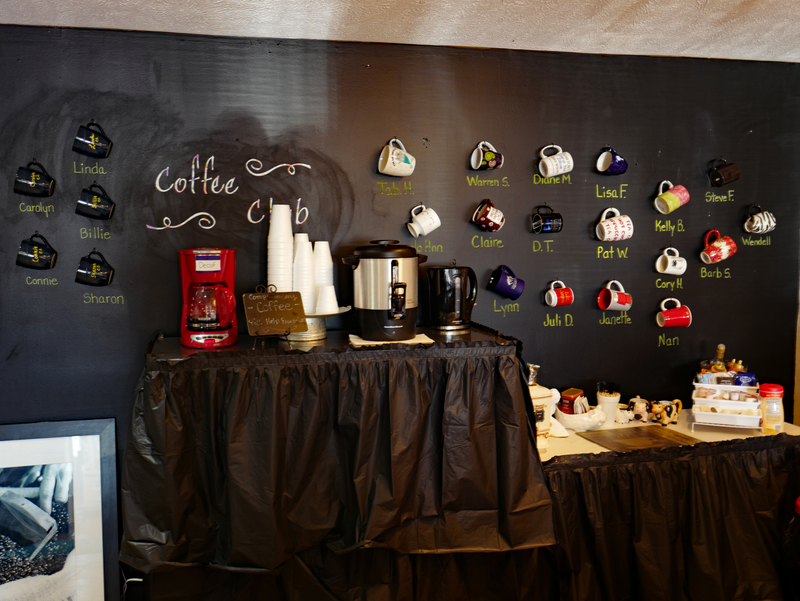 Regular customers hang their own mugs on the wall. Sweet onions, crouton & cheese are beautifully balanced in French onion soup. Sweet roll is more buttery, more sugary as you eat your way to the center. Brownie is veined with chunks of chocolate. Pineapple upside down cake is soft and angelic. Cherry cheese Danish is luxurious cheesecake with a pastry crust. Double chocolate muffin is packed with chips. Janet Ferguson scrupulously decorates each cookie. Breakfast burrito is stuffed with eggs, cheddar, bacon & sausage. Bakery, restaurant, and caterer, Sugar South defies easy classification. People come for dazzling hand-decorated cookies to take home, to chat ‘n’ chew over coffee and quiche in the morning, to eat an artisan sandwich at lunch, and to sip tea and nibble pastries in the afternoon. In some ways, it feels like an old-fashioned ladies-lunch type of place with couches and easy chairs up front and decorative local art (for sale) on the walls; and indeed, many of its tables are occupied by groups of lady friends eating light. But hearty soups and generously apportioned sandwiches attract big-appetite guys (and gals!) in search of serious sustenance at a friendly town cafe. First, about the cookies, which are a signature item, sold individually or by dozens for special events. They are made by co-owner Janet Ferguson, who often can be found at a back table scrupulously decorating them, one by one. They celebrate holidays, seasons, Clemson University, and pop culture icons. Below meticulous artistry on the icing, the cookie itself delivers gentle crunch and the pure flavor of butter and sugar with a velvety vanilla halo. Sugar South opens at 8am. Its short breakfast menu includes eggs, a breakfast burrito, quiche of the day, and “gourmet grits” available topped with bacon, sausage crumbles, cheese, sour cream, et al. Coffee or tea is complementary. Among the many cakes and pastries always on display, a few favorites are cherry cheese Danish (think deluxe cheesecake), lemon bars that gently balance cream and citrus, fluffy coconut cake, and sweet little cinnamon rolls. Lunchtime sandwiches include a traditional Reuben, a panini-pressed Cuban, an Aiken hero (roast beef, cheddar, horseradish), and a vegetarian Mediterranean grill of hummus, peppers, zucchini, and provolone with a balsamic glaze. Some day, I will try all of them, but until that day, I am going to order, and re-order, what’s billed as a New Orleans muffaletta. It’s a splendiforous stack of salami, capicola, ham, pepperoni, and provolone dressed with a thick ribbon of olive salad that fairly hums with spice. Steve Ferguson, co-owner and chef, told me that he’s not a fan of pickled vegetables and so, unlike more traditional muffaletta olive spreads, his contains none. This one is all about the flavor of olives. It is bold and brawny enough to be a full flavor foundation for the cold cuts atop it. I don’t want to say this sandwich is an improvement on the traditional New Orleans version, but honestly, I enjoy it every bit as much.